Precious stones are one of nature’s ways of showing how incredibly beautiful it can be. Since the beginning of time people have been adorning themselves with gems and jewels to stand out and wow an audience. From necklaces to pendants and bracelets, precious stones have always been a favorite way for people to express themselves. However, when we think of these precious stones, images of diamonds, rubies and emeralds always tend to come to mind. Well diamonds may be a girl’s best friend, but there are so many gemstones that are rarer – and even more valuable. National Jewel Day was March 13th, but don’t worry, you can still brush up on your precious stone knowledge, and perhaps treat yourself to something new to celebrate. Opal is a fairly common gemstone but Black Opals are a beautiful rarity. 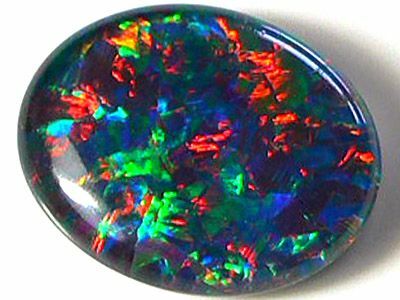 These stones are streaked with a rainbow of colors that radiate much brighter than opals of lighter or milky body tones. This vibrant “play of color” and the stone’s rareness are why this precious stone has such a high value. It may be a different stone, but black pearls have a special kind of beauty all their own. These stones are also able to showcase multiple colors that may be less noticeable on the same stone with a lighter tone. Most commonly, black pearls have a gorgeous violet to green iridescence that makes them especially captivating. Honora’s black mother of pearl earrings, necklace and ring all fully exhibit this beauty. Both the earrings and necklace are made with freshwater pearls as well for a stunning contrast. Garnet is found in almost every color of the rainbow including red, orange, yellow, green, blue, purple, brown, black, pink and colorless. However it is the Blue Garnet that remains the rarest and most fascinating. What makes this stone so captivating is its unique ability to change color. In daylight, the gem is a soft blue-green but changes to a vivid purple under incandescent light. Now that is a piece of jewelry that can really take you from daytime to date night! You will look absolutely stunning on your next big date night with these incredible garnet earrings. This riveting pair is made with 14 karat yellow gold with countless glimmering oval garnets. Winning the title of rarest precious stone is Jadeite. While easily confused with jade, only jadite is considered a rare gem. 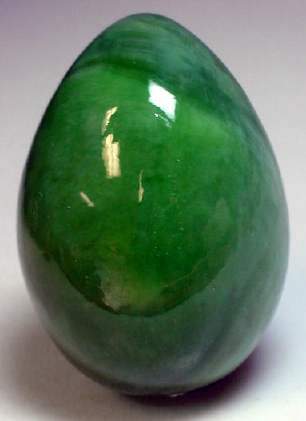 Jadeite’s value is judged by the combination of the intensity of its green color and high degree of transparency. At Christie’s in 1997, a jadeite necklace called the “Doubly Fortunate” set the highest price for a piece of jadeite jewelry sold at auction, selling for $9.3 million. You can set some beauty records of your own with these agate and diamond earrings by Doves. The rich, green color is a nice nod to jadeite and will add some color to your look, complimented by 0.50 carats of black and white diamonds. The term precious typically means something of great value, which in terms of gems is easiest to measure monetarily. However, every stone has a special quality about it, all its own – similar to the person wearing it. These gems may be considered the most precious, but we are George Press know that nothing can hold a candle to a piece’s sentimental value. In honor National Jewel Day from this past month, come on by to celebrate and share your new knowledge with us!